It may be a little early to start caroling, but it’s not too early to start planning for a stress-free (or at least stress-reduced) holiday. 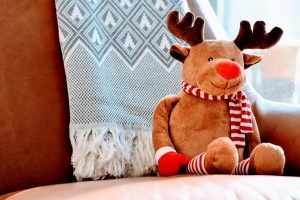 This time of year is full of activities and events, and many businesses experience a busy season as the year comes to a close. For employees, this can mean longer hours while preparing for holiday traveling, buying gifts, etc. All of this can add up and takes its toll physically and mentally. How do we work together to keep a sense of joy in what can be a hectic time? Here at KB Staffing, we came up with a few tips to help you manage. Lists are your friends! Write down the things that you need to get done in order to better manage your time. You may have places to go at certain times, so a list of what needs to be done can help you to make sure you aren’t making multiple trips to the same part of town, or forgetting to take care of some important task. Ask for time off if you need it! You may have vacation time that needs to be used by the end of the year, or you may just have a lot of things to do. Don’t be afraid to ask for time off. Generally, employers understand that we all have families and friends that we would like to spend time with during the holidays. There are school plays, friendly get-togethers, and family reunions that may fall outside the “standard” holiday days. Take time for the events you don’t want to miss. If you are an employer, consider bringing in some temporary staff to help out through the holidays. This will make it easier to grant time-off requests without letting work pile up to overwhelm your employees. The holidays should be a fun time for everyone. It just takes a little forethought to keep things running smoothly. If you are looking for temp work during the holidays, call KB Staffing. We have many temporary staffing options available, including full time temp jobs and temp-to-hire jobs. Visit our website today to learn how to get started.